“Technology of success” — a series of interviews with leaders of the most ambitious IT companies in the country. Throughout the year, together with Lviv IT Cluster, we will tell you about entrepreneurs and heads of tech companies in Ukraine, trying to better understand the people who are driving the country forward. 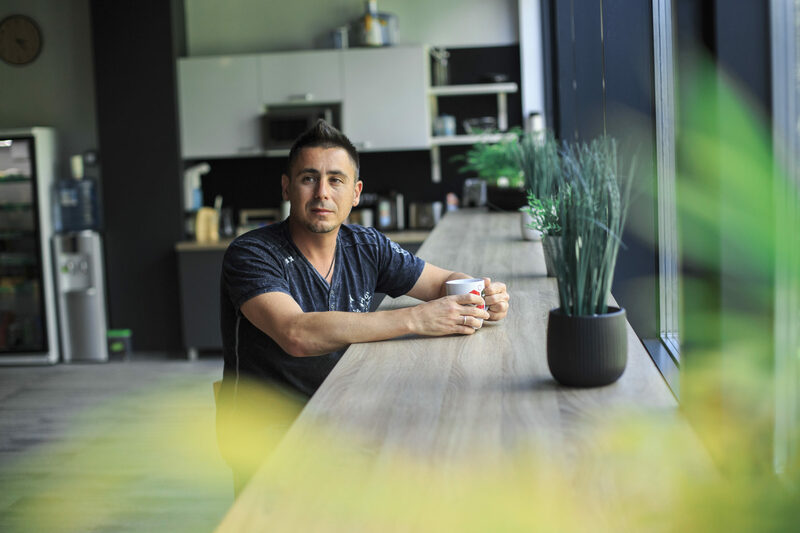 Volodymyr Beck, Co-Founder and Board Member at Sigma Software, talks about his first steps in IT, the biggest projects of the company, the development of product direction and the importance of the team in achieving ambitious goals. What makes Sigma Software different from other major players on the Ukrainian technological market? Tenacity and client management. From the very beginning, we, like a bulldog, tried to grab every business opportunity. It happened that there were some doubts inside the team: some team members would say that we shouldn’t take a certain project and spend resources on it because we won’t handle it, won’t develop etc. But then it turned out that a project that seemed stable would end rather unexpectedly, and the one we had doubts about would turn into something much bigger. This culture of perseverance coupled with good client management and strong engineering contributed to our success. What if you look at it from the perspective of a young professional? If a person wants more flexibility, dynamics, interesting projects on the edge of today and tomorrow, if a person wants to work at a big company, but feel a startup culture, then we’re the right place. We’re big, but we’re trying to keep certain flexibility and horizontality of our organization. The decisions are made formally where it’s needed, but common sense is always there. To keep moving forward, we always optimize our priorities. On the one hand, we’re trying to be a large company that is constantly developing, on the other — we want to be flexible. Could you, please, share your personal story? How did you become the person you are now? I was born in the family of engineers. My mother is a scientific employee at the Kharkiv Aviation Institute, my father — the head of the laboratory at the “Khartron” enterprise, where they created space technologies. When I was a kid, I didn’t even know what my dad was doing, everything was confidential. Already when I grew up, I learned that my dad was one of those engineers who developed a control system for the rocket called “Satan”, which used to frighten the West. Once, dad brought me a book about the programming language “C” and said that I’d better learn it. Back then, everyone was learning Pascal or Basic, and no one knew much about “C”. I was 15 at that time. I started to code even earlier and rather by accident. At some point, I understood that you can program games on a programmable microcalculator. Getting it was close to impossible, but somehow I managed. Games were special back then. You could write an algorithm that counts, for example, how a lunar module lands on the moon or how a submarine rises — you look at the numbers on a small one-line display and imagine the result. It was the beginning of programming, and I was 12 years old then. I got access to big computers at my mom’s work. Although it was also a semi-secret institute, unlike the “Khartron”, it was possible to get inside somehow. When I was around 15 years old, I got into a very interesting environment, a place where all the freaks and geeks interested in programming gathered. Many moved abroad, some founded their companies. When I was 17, I wrote my first software program that could be sold. It was a program that, based on the formulas, calculated how blood flows through human arteries. With the help of the software, it was possible to get results and foresee risks of the emergence and development of cardiovascular diseases. I didn’t always understand what those formulas meant, but at the same time, I knew the logic of building a mathematical model and UI organization, and it was enough for creating a software system. This was my first paid work. From 1991 to 1996 I studied at the Kharkiv Aviation Institute. The path to software engineering required stubbornness and some luck. I wanted to be a programmer. But while studying at high school, I didn’t manage to write a test that would allow me to study in a programming-focused class. I was always a bit slow, so solving problems with a limited time was definitely not for me. Luckily, my classmate passed this test and was selected, but then chose another career and gave her spot to me. Getting into the Kharkiv Aviation Institute also resembled obstacle racing. Back then, you could study programming only if you had the best grades in school. I studied well, but I wasn’t an excellent student. My score was not enough for programming. That’s how I got into a completely non-programming department — Aircraft Control Systems and Instruments. I finished the first semester with excellent marks and then the Department of Programming got interested in having me as a student. At the same time, I was invited to join the Department of Automated Control Systems, which also had programming, although with a slightly different focus. In the end, it was this department that I chose to continue my studies, and I’ve never regretted my choice. It turned out that the department was preparing not just programmers, but analysts. That is people who can lead projects at defense enterprises. In fact, it was a technical MBA. At that time there was no understanding of what an MBA was, but, the courses we studied, including basics of economics and the research of large enterprises, are what they now call business administration. Thanks to this, I had a chance to look at programming from a wider angle. Speaking about my career as a programmer, one of my first jobs in the “big industry” was a job at Westron, Kharkiv-based joint venture of Westinghouse Electric Corporation and Ukrainian “Khartron”. I was working on a project for the South Ukrainian NPP — creating a program that synchronized data between the old and new backends in real time. Of course, I didn’t work alone, but with a team. That was a rather challenging assignment. In 1996, I went to work in the USA, where I joined a big airline company, but in 1997 I returned home and decided that I will be developing business here. In 1998, from a small outsourcing project we did for a telecommunications company in Germany, we managed to create a company called Telesens. I became a technical director there. In the early 2000s, the telecommunications sector experienced a serious crisis, which prompted the idea of building a more diversified business: in several industry verticals that would be relatively independent from each other. Since then, I have decided to develop my own business with the team. I realized that working on a single product and just running a product house is not exactly what I want to do in the long run. I wanted to create a company that would develop many software products at once. I wanted to make the company bigger, more interesting and more global. 2002 was not just the year when the company that would later become Sigma Software was established. It’s a continuation of the story of my small outsourcing company that existed from the middle of the 1990s and that became a core for a well-knit team that in 2002 was renamed to Eclipse Software Programming. We saw it as a new brand that would create awesome products and help develop the IT ecosystem of the country. It was important for us back then, and it continues to be one of our priorities nowadays. We want to build our country in the context of education, law, we want Ukraine to become even a better place for the IT business. We didn’t write this down, but, in fact, it’s part of our mission. Our mission says that we’re making the best program products that help our clients develop their business. However, our big idea is that we aren’t just building a company that makes quality full-cycle engineering products, but the company that makes those products thinking about the future. The company turned 15 in 2017. Could you outline the key stages in its development? In 2002 we have thought over about what we want to do and renamed ourselves to Eclipse SP. The company was making software products for clients. We focused on making long-term relationships with our clients. If we take up small projects, it’s only because we understand that the experience this small project brings, could help us build something bigger later. The company started to grow as a software product engineering units. Until 2006 we have already formed a certain culture and understood that the company is developing sustainably. In September 2005, we met the management of Sigma. Before that we had offers, for example, to be bought as a developer center or become a resource addition to a big company. However, we didn’t like these offers, even though they were interesting financially. We liked Sigma since they were working with similar approaches and thinking. They were professionals with a built-in culture of mutual respect within the company. Moreover, they didn’t have a strict hierarchy, but divided the consulting group into a number of companies. We have accepted the offer to join them. This way, in 2006 we became the part of Sigma group. In reality, there wasn’t much we had to change, because mentally and from the business point of view, we already were Sigma. Together we have started to work on projects for the same clients. These were usually complicated projects. In 2011 we changed our name to Sigma Ukraine. In 2014 — opened offices in the USA and Poland. Since the name Sigma Ukraine didn’t suit well for global projects we renamed ourselves to Sigma Software and until now we are developing as a separate company in Sigma Group. 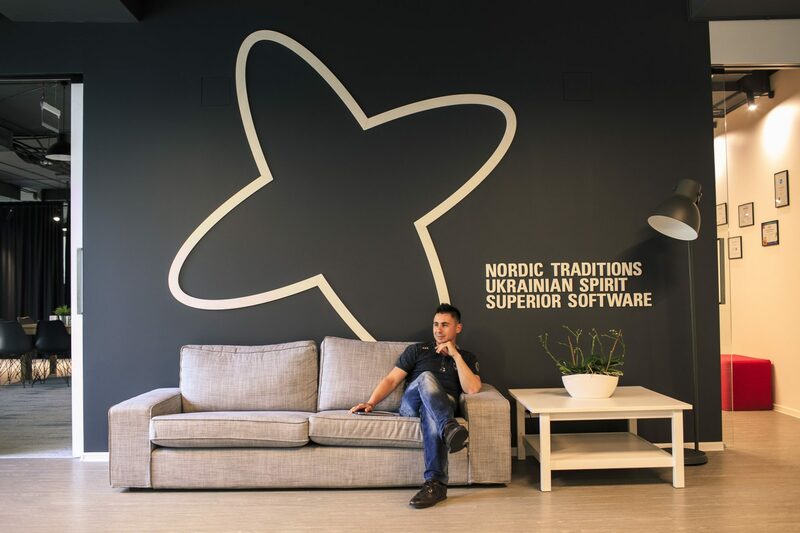 It’s a Ukrainian company that is now a part of the global consulting group with Swedish roots. How many people does the company unite? Who are they? Right now Sigma unites more than 800 experts. These are IT specialists and consultants who work in Kharkiv, Odesa, Lviv, and Kyiv. Around 500 employees are based in Kharkiv, around 65 — in Lviv and Odesa, and more than a hundred — in Kyiv. Every year Sigma Software makes every effort to smooth out the barriers based on stereotypes and improve gender balance. Yes, in 2017 the number of women at Sigma Software has increased by 30%, and in managing positions, women make up 44%. What makes your corporate culture special? We’re trying to create the most flexible and horizontal organization for structural units to make decisions quickly, autonomously and responsibly. Our key principles are professionalism in everything we do, respect, and teamwork. The team was created by a group of founders, who are experts in their areas. Together we have managed to build a stable company with a potential for development. Teamwork is one of our key values. Among other things, you are the IT Committee Chairman at European Business Association. What is included in your responsibilities? Yes, during the last seven years I’ve been leading the committee. The aim of the association is to make the best conditions for doing business in Ukraine for all the member-companies. The association consists of both Ukrainian and international companies. Subsequently, the IT committee is trying to create the best conditions for IT business. As the chairman of the committee, you can’t point anything out to anyone. You can only agree on a common goal and try to achieve it together. Managing the IT Committee is completely different from managing an IT company. In your company, you have subordinates, at the association — equal colleagues and partners. The work of the association is a teamwork without any central bodies, but with a central goal. We focus on three things. The first and the most important one — we want to concentrate the human capital of programmers in Ukraine. I mean, creating the best working conditions so that the employees already working in the industry wouldn’t want to move abroad. The second one — modernizing education: for Ukraine to have great IT specialists today, tomorrow and in the years to come. The third component — promoting and simplifying conditions to involve IT experts from abroad. Right now, not only companies but also countries are working on the involvement of IT specialists. The committee is also lobbying interests of the IT sphere, which includes communication with the state, drafting bills partly related to IT, etc. With the help of PR tools, we are trying to develop the brand of Ukrainian IT Industry for potential employees. Moreover, we explain the importance of the industry for the country and promote the IT brand of Ukraine abroad. What, in your opinion, are the key challenges the Ukrainian IT ecosystem is now facing? 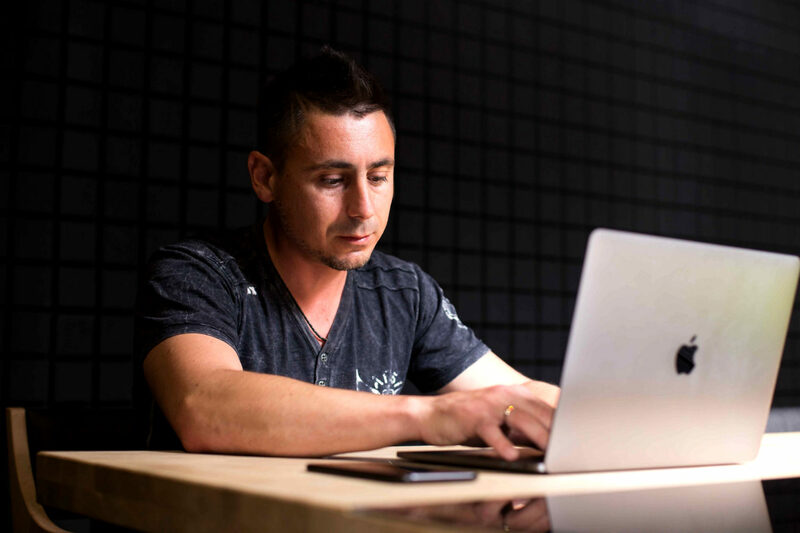 There is a unique business ecosystem in Ukraine: a programmer can work individually, take personal responsibility, performing work under the contract. This element — B2B, between self-employed people and service aggregator companies, is gradually becoming more popular in the world. We can say that with this model, Ukraine is ahead of the whole world. And that is very important. Some people think it’s an alternative to employment, but, in fact, it is another way of life. First of all, this system enables to form a mindset of responsibility and active life position. It also provides the flexibility needed for the knowledge economy, when roles and functions of a person change very quickly. This is the element that should be developed so that it becomes a long-term solution, and not situational one, as it has been in recent years. Another difficult challenge is the education system. We have to remain the brain center of Europe. How can we contribute to education? I know that in Lviv, for example, thanks to the joint efforts of a few companies, several new educational programs were created. The recipe is very simple — to increase the growth rate. Today’s pace of education support is still not enough for a sustainable development of the education system. A certain level is maintained, but to make a fundamental jump in the development, we must accelerate every year. What about your company? Do you have internal training or something similar? We have our own Sigma Software University. We have our own methodologies, experts with relevant expertise, and as a result, we get trained specialists. The university existed without a specific name for a while, but the brand Sigma Software University has appeared rather recently. We have six university-based laboratories and grant scholarships to prospective students, as well as conduct courses for those who already have experience in the field. There is a feeling that people who join our company now are more advanced. Slowly, but surely our education system is changing. How would you generally assess the level of development of the Ukrainian IT ecosystem? I still don’t understand how we can measure it. It is evident, that the ecosystem is actively developing. However, I can’t say it is developed enough even in comparison with neighbouring Poland. But, also I can’t say that it’s completely undeveloped. Recently, I came across an article in which the author has completely criticized everything, arguing that there’s nothing in Ukraine. This is not true. There are Ukrainian startups, big Ukrainian companies, everything is developing. Incredible results don’t happen overnight. People abroad get to know more about Ukraine, startups receive foreign investments, several companies got in the TOP 100 best in the world. And these aren’t just two or three companies. Is this enough? It’s hard to say. However, even in comparison with the last year, the situation has changed for the better. What about the product part? If you’re talking about what you’re working on, for example, you’re creating a product, then, to a large extent, service companies are also product companies. Very few Ukrainian companies legally tie the product to a local legal area, because they understand the volatility of our legislation. 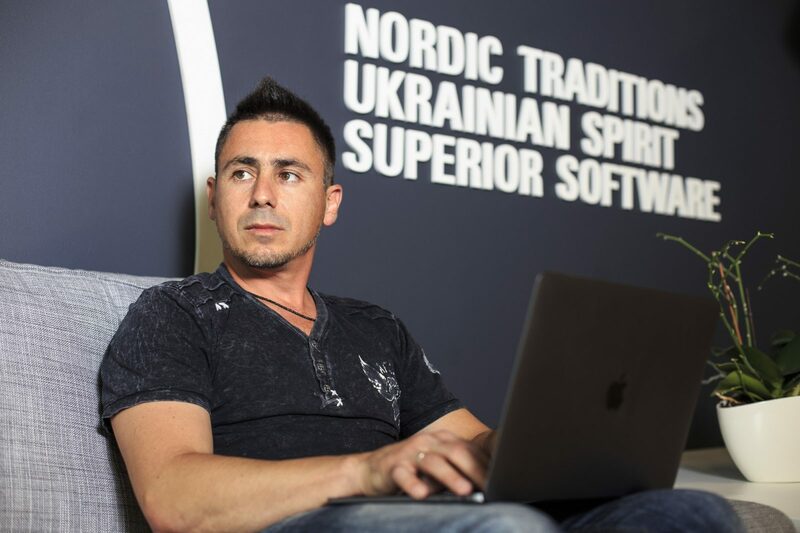 Until Ukraine has a great success story and respect for intellectual property, we can only talk about hybrid models: even if it is a Ukrainian product company, its office will be located somewhere in the US. It’s the service companies where future startuppers get their first real experience and a quality education system, that predetermine the successful development of the startup sector. Otherwise, where will we get all these experts from? We see, that when a startup succeeds, when a company receives substantial funds, it immediately migrates to the United States, and the property is transferred to an American company. And this is not because the founders want to withdraw funds from Ukraine, but because when American investors come, they say they are not ready to invest in Ukraine. Products will be developing. On the other hand, we definitely shouldn’t talk about a full-scale product system. Right now there are just a few cases. I think that there will be a natural increase in product companies and evolution in service ones. In fact, large service companies purchase product companies that have certain innovations and are gradually preparing for transformation into a hybrid model. Because, if you have a large consulting company, such as Sigma Software, then you should not only provide a service but also create added value. One shouldn’t expect that many cool product companies will emerge without a proper ecosystem, the same way, one shouldn’t expect to harvest apples without healthy apple trees. In my opinion, it’s the service companies where future startuppers get their first real experience and a quality education system, that predetermine the successful development of the startup sector. Otherwise, where will we get all these experts from? In your opinion, how successful is the company now? And what is your vision for the future success? I am one of those entrepreneurs who believe less in numbers, but more in feelings. In my opinion, everything is developing properly. Confirming it with figures, I can say that the company is growing: we have more employees, enter new markets, work more and more on projects and things that will be tech tomorrow. People are already doing this, for example: big data, artificial intelligence, mixed reality, deep learning. We aren’t just doing something in the labs, but creating new things which will be used in our products. Another very important point is that we develop internal products not just through consulting, but by offering something made with the Sigma Software brand. It looks more like a certain hybrid of consulting and product house. As for me, such hybrid models will be more and more needed. If talking about specific indicators, it is important, that we were listed among the world’s best IT services providers in The Global Outsourcing 100. Tell us, please, about the biggest and most interesting projects of the company. Oath (ex AoL.) — is one of the world’s largest media conglomerates. A few years ago they bought Vidible, a startup that we have been working on — it’s a platform for sharing and distributing video content. Selection, broadcasting, distribution and the shortest delivery of the video to its buyer take place within the platform. Additional services help monetize videos, process data and collect statistics. Developing this platform, Sigma Software engineers use big data. We have developed a system used daily by 30, 000 companies and able to process up to one million requests per second and up to 120 terabytes of information daily. Another interesting project — Knorr-Bremse, a self-driving truck project. We’re helping with software here. Knorr-Bremse is a global manufacturer of brake systems for railway vehicles and trucks. Sigma Software started cooperating with the company in 2016. We took part in an innovative R&D project for the new maneuvering system. The task of our team was to develop a series of web and mobile apps that would allow trucks to maneuver autonomously when entering and leaving the loading platform. We have also integrated these solutions with onboard machine systems. These solutions demonstrate a new generation of automation and control systems for commercial vehicles. For Scandinavian Airlines (SAS) we have developed an Charges management system that provides daily cost calculations based on actual routes, monitors fuel consumption, helps to make choices about fuel suppliers and prices, automates import of electronic and paper invoices, and generates data processing results in the form of reports. Today, the system is processing more than 1100 flights in 136 directions every day. For Volvo we have developed e-commerce portals that make it easy to order parts, accessories, and various services, pay orders, choose their execution time and monitor status. In turn, with the help of these portals car companies can easily add, delete, edit a wide catalog of goods and services. More than 5000 dealers from 61 countries work daily with portals developed in Ukraine by Sigma Software specialists. Widespread interest in apps with augmented, mixed and virtual reality encourages us to keep up with the times. Virtual tours, virtual interiors, education, remote guidance, entertainment are just some of the areas where the value of AR/VR is difficult to overestimate. Our company has been working with AR/VR technologies for several years now, so we have a real experience in making solutions for a wide range of devices. Among the solutions that we’ve been involved in or have been developing from scratch, I’d highlight an AR platform with game elements, apps for interior designers that help create future interiors in a mixed reality environment; educational solutions for various fields, including an app that helps training the future surgeons with AR/VR; e-learning platforms that use AR/VR to make studying more effective, etc. Sigma Software also collaborates with a Hollywood company that creates a solution for production and distribution of VR content in an environment that is similar to modern social networks. I think I continue to develop successfully. Not everything is yet accomplished. I have certainly succeeded in creating the right team that launched and built our business. I managed to make the company develop without my direct operational participation. Because of this, I can focus on areas that are important both for the future business and for the development of the IT industry in the country. And I see that you can do even more interesting things. Sigma Software succeeded as a company, but I don’t consider this as my personal success. My part of the success is that I made the right steps in the beginning. Then we made the right steps in the team, and later – each separately in our fields and areas of responsibility. I believe that there is no individual success in business. It’s always a teamwork, it’s always associated with a number of people efficiently working together. The role of a certain person in a general victory is to make the right thing at the right moment. To entrust something to someone, to do something in time, and so on. Probably, being able to balance between work and personal life, is a success for me. I continue to do business as well as leave space for hobbies. In addition to work, I am interested in windsurfing. It’s like an extra battery. I also like motorcycles. For some, a motorcycle is a way of life, but in my case, it is a matter for the soul. I love to create them more than to ride. (Smiles) To build something that is associated with a certain age — so-called dynamic art installations. In 2014 we made a diesel punk-style bike. Let’s imagine that a person from the 1940s or 50s has come to our time. This person has an understanding of the aesthetics of that period but has access to modern technologies. We make such bikes. 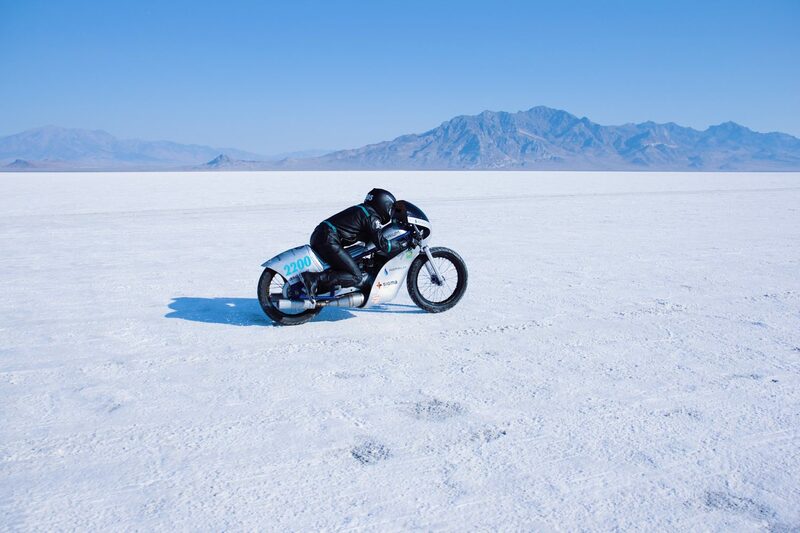 Also in August 2017, Sigma Software supported a motorcycle race on the legendary Bonneville Speedway — a dried salt lake in Utah, USA, where similar to ground rockets, steamliners accelerate to the speed of sound. 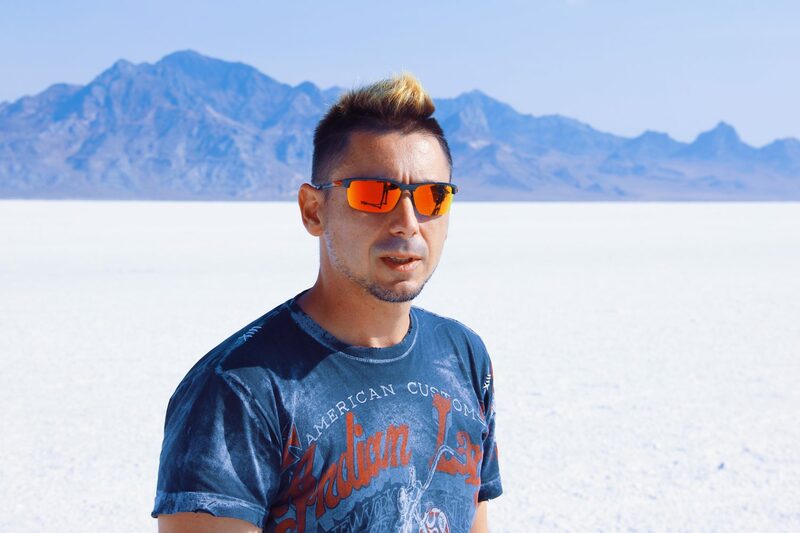 Redesigned in accordance with regulations, 1953 Izh-49 set a record in its class, and now it’s the first and the fastest Ukrainian motorcycle in Bonneville. It’s interesting, that in 2017 three Ukrainian motorcycles have participated for the first time and each of them has set a record in its class. What do you think is the most important in the business process? And what advice would you give to young entrepreneurs? 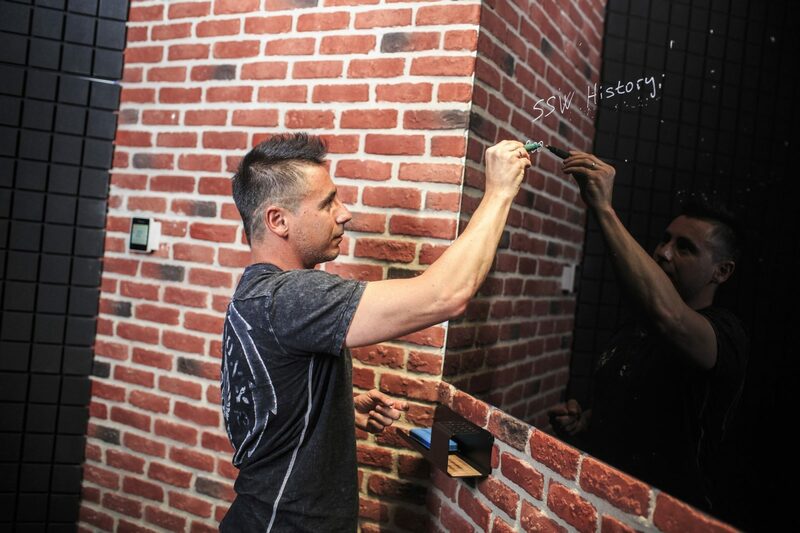 If you want to create something and do your own business, it must be something that motivates you. It’s much more effective to look for something you like, not just a profitable niche on the market. It is important not to be afraid of partnerships. Many people are trying to coordinate everything themselves, which slows down the pace of development, and makes scaling impossible. I wouldn’t have done anything by myself. It might be possible with hired managers, but this is not the level of dedication you need to succeed. Another question is who to partner with. Your partners should also be ready to take risks. An option, when a programmer comes and says he/she worked at a company with a certain salary for a certain period of time, and now wants to be a partner, is a wrong one. When they were getting a salary, I was risking everything. In my opinion, a good partner should be ready to lose money, not to sleep at night, sacrifice certain things — work on weekends, skip vacations, etc. The partner must be flexible. Do not be afraid to review your business paradigm. If there is a feeling that things are moving a bit in the wrong direction, then most likely — they are. You need to stop and think how you can change this. It is also important to understand that when you start a business, the situation is one, and later it can radically change. But there are things that do not change — for example, your mutual trust.